Of course, things aren't going exactly like she imagined. Her half-sister Mia is very busy learning how to take over the country while trying to plan a wedding and her father is actually getting remarried himself--to Mia's mother!--and spends most of his time "renovating" the summer palace, although Grandmere says he is just hiding from the wedding preparations. Olivia hardly gets to see either of them. 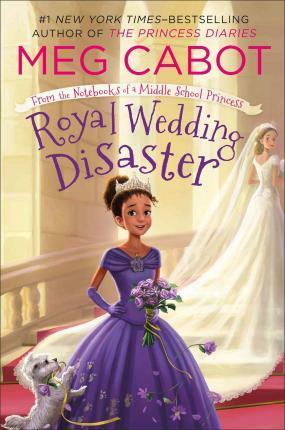 For such a carefully planned event, it seems like a LOT of things are going wrong. . . . Can Olivia keep this royal wedding from becoming a royal disaster? This is fun, illustrated middle grade--and this is the first series illustrated by Meg Cabot herself! The paperback features an interview with Meg Cabot and an excerpt of the next book.